Keep those lucky customers toasty warm this winter with the ultimate promotional gift! Our Promotional Grover Hat is a perfect hat to keep your head warm and promote your company brand name and logo in a stunning array of six colours. 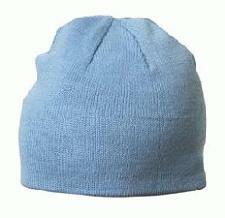 Quality knitted hat which has six seams at the top and knitted cotton lining. Personalised with a custom embroidery area, why not give these out as business gifts or freebies and ensure a good exposure of your company brand-name? available colours Orange, red, Blue, Navy, Grey, Black. For a FREE QUOTE please fill in our contact form regarding our Promotional Grover Hat and we'll be able to help you.